Summary: Let’s start our series about the TV show “Castle”, mining it for insights about ourselves (America), with an easy parallel. Fans of “Castle” tend to see the show as fan fiction, which requires amnesia about its actual history. Much as Americans have amnesia about much of our history. That’s fun for fans and 4th of July celebrations. It has horrific effects on citizens running a nation. Spoilers! Each successful TV show is in effect a collective fan fiction by the audience. We see a storyline and characters beyond that show on the screen, and a plot arc to the series. That’s true of patriots as well. We see a the national history as a story. The high points are exaggerated (the Civil War freed African-Americans! We defeated the NAZIs!) and superimpose a Whig narrative on the story (our past is a progression towards greater liberty and enlightenment). Both of these require serious amnesia. For a TV show the fans have foes. The showrunners have a different needs, writing two-dozen interesting stories per year while keeping (growing) their audience. Hence the TV Trope The Status Quo Is God., the easiest and well-proven method to managing these conflicts (which eventually tend to eventually destroy the show). There are weird new back-stories, improbably plot developments, uncharacteristic actions by the leads. Contradictions accumulate between the fans’ vision of the characters and the actual show history, causing cognitive dissonance in fans. Creative amnesia minimizes this. For example, in the season 6 finale “For Better or Worse” we learn that Beckett was married in college (15 years ago). She explains this by saying she didn’t believe the marriage was real. On the websites for Castle fans they devise convoluted explanations to spin this to make Beckett look good. Occam’s Razor gives us a simple answer. 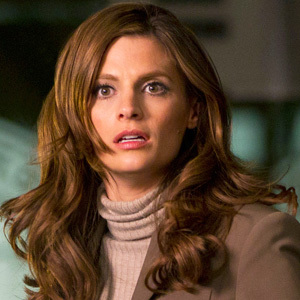 Backstory: Beckett has lied twice to Castle about big things: her memory was not lost after being shot, and a lie of omission about her trip to DC. It’s a pattern. She might have found it difficult to fess up to Castle about her marriage, and more difficult as time went on. She might have liked the sound of saying “one and done” (matching her self-image), but then found this made the truth more difficult to say. As did her teasing Castle about his two divorces. Did Beckett have temporary alcohol-induced amnesia, recalling the marriage only when reminded by the clerk? This also assumes Rogan never mentioned the marriage — not the next morning, or anytime during the following two weeks. The first is improbable (amnesia doesn’t work that way), as is the second, IMO. The combo more so. Did Beckett believe that the marriage license from Las Vegas City Hall was not valid? This is too silly to discuss. She gave better excuses for the first two lies. But then, this was the best she could think of on the spot. The harsh plot developments of the show are muted by a combination of amnesia and imagination. It’s entertainment, so creating our own myths is part of the game. It’s fun but more dangerous to do so with our history. To prosper, perhaps even to survive, our past and self-image should closely tie to reality. It doesn’t for Americans, and the connect appears to be growing weaker. Some of our delusions are benign, if silly. For example, the Russians defeated the NAZIs — with an assist from the US and UK. Some of our delusions prevent us from learning vital lessons. Look at our 19th century history, a horror show on many levels. Terrorism shaped the American West. Violence against Indians. Against blacks. Against workers (early unions). Against small ranchers. Terrorism by armed men, directed for political purposes, directed at Americans, in an early America still riven to an extent difficult for us to imagine today by fissures of race, ethnicity, class, and geography — before the homogenizing effect of the world wars and civil right struggles. Southern whites, with the acquiescence of the North, used terrorism for one of the most successful insurgencies in western history. They rolled back much of the accomplishments of the Civil War, oppressing Blacks and regaining control of the State and local governments. The 1% of that age used a wide spectrum of political, economic, and terrorist methods to concentrate wealth and income. One aspect of that was tight money (aka hard money), inflicting repeated, deep, and long depressions on our otherwise rapidly growing economy. These destroyed the craftsman, small merchant, and small farmer classes which were the foundation for the Republic’s political system — the people of independent spirit and means who Jefferson considered the key to its survival. We have erased most of this from our minds, and so can learn nothing from this painful history — and the equally painful collective action that eventually built what we consider “America”. The America culminating in the mid-1960s. Rapid growth and broadening prosperity. Our glorious revolution, the peaceful passage of the great civil rights bills. The successful and largely peaceful containment of communism. We retain this image despite the slow decay of the actual America. Our amnesia might force us to repeat those lessons. Probably at equal or greater cost. America must be more than fan fiction. Or it will become a tale of the past, told to children. Why did the South leave the Union? This day in history – looking at the road America didn’t take. On this important date let’s remember the past and look forward to our future. Previous Post What we do here. Why it’s unpopular. And our new theme. Next Post The TV show “Castle” challenges us to see our changing values. Most fans decline, horrified.